Exercise Select 2 -3 physical activities that you enjoy and "Just do It!" 60 minutes at least 3 times a week[ 5-6 times week if you want to see results quicker! Energy density is the relationship of calories to the weight of food (calories per gram). Avoid high energy density foods (those containing 4 to 9 calories per gram of weight), such as low-moisture foods like crackers and cookies or high-fat foods like butter and bacon. Eat small amounts of medium energy density foods (those containing 1.5 to 4 calories per gram of weight); such as dried fruits, bagels, broiled lean sirloin steak, hummus, grape jelly, whole wheat bread, and part-skim mozzarella. Through it's ability to aid in the lowering of cholesterol because ginger seems to not only hinder the absorption of cholesterol, but also stimulates cholesterol conversion to bile acids. Lowering your cholesterol translates to weight loss. Herbs - There are two main types of thermogenic herbs for weight loss. Herbs teas such as nettle, cayenne and ginseng stimulant properties that helps to speed up the body functions, including the digestion, heart rate and respiration. The individuals feel more energetic and respond accordingly by keeping on the go. Herbs such as dandelion that have diuretic properties help to rid the body of excess fluids. 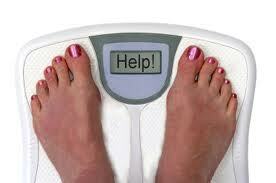 The main downside of these herbs for weight loss is that the weight can return when the herbs are stopped. Tea - Green tea is an excellent, effective, and safe weight loss ingredient that has the ability to oxidize fat in the body. Laugh - Laughing helps burn calories by increasing your heart rate by 10 to 20 percent [Colmenares, Clinton. "No joke: Study finds laughing can burn calories." Reporter. June 10, 2005. http://www.mc.vanderbilt.edu/reporter/index.html?ID=4030 ]. Your metabolism increases as well, meaning you will burn more calories at rest once you have stopped laughing. Onions - Onions will help improve your health in several ways that will help you lose weight including help with the cardiovascular system lowering blood pressure and blood cholesterol levels. This in turn helps you feel better and have more energy. Additionally onions contains vitamins, minerals, and other compounds that work in a well balanced diet to minimize your cravings for unhealthy foods. Onions are also a source of the antioxidant quercetin. Quercetin may help increase energy expenditure, or calorie burn, in your body while also reducing inflammation. Seaweed has been known to improve the metabolism and is a good source of trace minerals such as chromium and iodine. Seaweed is a natural thyroid stimulant, which can improve your ability to lose weight. If you suspect your weight problem is due to a thyroid problem, or if you currently take any thyroid medication, you should check with a doctor before taking kelp or seaweed. Slow down - All we ever seem to do is rush, rush, rush. When it comes to food, one of the worse things you can do is rush things. Here are great tips to help slow you down and enjoy food again. #1 – Chew your food 20 times before swallowing. Chewing does several things it breaks down the food into smaller pieces which means the digestion system can get more nutrients out of it. Chewing also takes time. The longer you take to eat, the less likely you are to overeat. #2 – Put your fork down between bites. Putting the fork down makes you conscious of how much you’re eating as opposed to using the fork like a steam shovel. #3 – Eat with a dinner partner and make dinner conversation a part of your menu. Talking slows down the rate of food consumption. Remember it’s bad manners to talk with your mouth full. #4 – Don’t eat in front of the television. It leads to mindless eating. Your attention is on what’s going on in the program not what’s on your plate. ü Rich source of magnesium (1 serving of quinoa can meet 48% of the daily value that we need). It contains all nine essential amino acids including lysine. 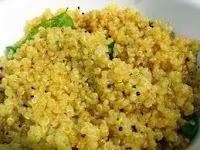 Cooked quinoa is fluffy with a slightly nutty and al dente texture. It is prepared the way most grains are cooked; simmered in water or cooked in a rice cooker. To cook quinoa, use a high heat setting to bring to boil then cover and simmer for about 12-15 minutes. When you see the ring-shaped sprouts popping out, you’ll know the quinoa is almost ready. Stir the quinoa so all the water gets absorbed. Quinoa can add texture and flavor to salads, breakfast cereals, pilafs, casseroles, soups and they can also be used in baking desserts. Visit https://www.facebook.com/pages/Be-Fit-Inc/138592976177146 for more recipes and nutrition nuggets. Mark your calendar for the release of "Beyond Candied Yams and Sweet Potato Pie" April 2012! Scheduled to go live in early 2012, MinervaPlace is already poised to become the number one health and beauty destination on the web. Founded by some of America's most successful business and marketing leaders, Minerva brings together renowned physicians and scientists in the fields of health and nutrition and supports them with the country's most accomplished writers, graphic artists and film and video producers to provide visitors with smart content related to weight management, fitness and wellness, as well as beauty, style and fashion.